Question (1) Slogan ‘Garibi Hatao’ was included in _. Question (2) The Eight plan period was from _. Question (3) The banks are required to maintain a certain ratio between their cash in hand and total assets is called _. Question (4) Blue revolution is nothing but _. Question (8) Mahila Samridhi Yojana started in? Question (9) Which state is the biggest tea producer in the country? Question (10) Which five year plan focused on “Growth with social justice and equity”? Question (11) Industrial Credit and Investment Corporation of India (ICICI) was established in? Question (12) The increase in oil seeds production was due to? Question (13) Which of the following is not viewed as a national debt? Question (14) The best indicator of economic development of any country is? Question (15) National Agriculture Insurance Scheme was implemented on? Question (16) Banking regulation act was passed in? Question (17) Planning Commission was constituted on? Question (18) The progress in increase of fish production was called? Question (19) In India paper currency started in? Question (20) The concept of Economic Planning in India is derived from? Question (21) Reserve bank of India was established on? Question (22) Who was the father of Operation Flood? Question (23) Pradhan Mantri Gramodaya Yojana started in? Question (24) First five year plan was based on? 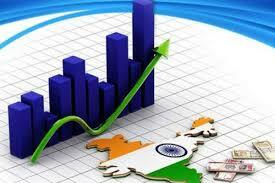 Question (25) What is the mainstay of Indian economy?